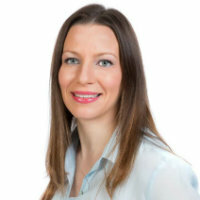 Dr Sofia Llahana joined City, University of London in November 2018 as a Senior Lecturer, Education and Research, in Advanced Clinical Practice. She previously worked as a Consultant Nurse in Endocrinology and Independent Nurse Prescriber at University College London Hospitals NHS Foundation Trust where she continues to maintain an honorary position and a large portfolio of research projects. Sofia is the Lead Editor of the recently published textbook of Advanced Practice in Endocrinology Nursing by Springer which is a multidisciplinary collaboration of 115 authors across the globe and includes 69 chapters. This is the first ever endocrine nursing book providing a comprehensive resource for paediatric and adult nurses. Sofia’s past working experience includes roles such as clinical academic research fellow, senior teaching fellow, senior research nurse, clinical nurse specialist in diabetes and endocrinology, diabetes educator, ward manager and staff nurse. She worked in clinical and academic settings in the UK, Ireland, Greece and Finland and has held consultancy roles for several pharmaceutical, professional and non-profit organisations. Sofia is internationally recognized for her clinical expertise, research and leadership in Endocrinology Nursing. She established the European Network of Endocrine Nurses within the European Society for Endocrinology (ESE) in 2013 and is the current Chair of the ESE Nurses Committee and member of the ESE Executive Committee. She is a Board Member of the Federation of International Nurses in Endocrinology (FINE) and one of the five founding members initiating FINE in 2014, a past member of the UK Nurses Committee in the Society for Endocrinology. Sofia is the only nurse member in the Scientific Committee of the International Congress in Men’s Health organized by the Postgraduate International School of Men’s Health (PRISM). Greek, Modern (1453-) (can read, write, speak, understand spoken and peer review) and Italian (can understand spoken). Llahana, S., Follin, C., Yedinak, C.G. and Grossman, A. (2019). Advanced Practice in Endocrinology Nursing. Springer. ISBN 978-3-319-99815-2. Llahana, S.V. (2005). A Theoretical Framework for Clinical Specialist Nursing An Example from Diabetes. Sofia Llahana. ISBN 978-1-903877-36-4. Llahana, S. (2018). Llahana, S. (2018). The role of endocrine nurse in running a nurse-led service in men’s health: a model of Advanced Practice. International Congress in Men’s Health, October 6 – 7, Vienna, Austria. Llahana, S. (2017). Llahana, S. (2017) Paediatric to adult transition for patients with Klinefelter syndrome. Invited Speaker, PRISM-ICMH Global Symposium on Men's Health, October 6 – 7, Warsaw, Poland. Llahana, S. (2017). Llahana, S. (2017) Developing a European Position Statement for the role of the Endocrine Nurse in Adrenal Insufficiency. Invited Speaker, European Congress of Endocrinology, May 19 – 22, Lisbon, Portugal. Llahana, S. (2016). Llahana, S. (2016) Personalised Medicine and Adherence to Treatment in Men. Invited Speaker, PRISM International Congress on Men's Health, November 4 – 5, Berlin, Germany. Llahana, S. (2016). Llahana, S. (2016) Patient education, treatment concerns and non-adherence: the need for change in Adrenal Insufficiency. Invited Speaker, British Society for Endocrinology Annual meeting, November 7 – 9, Brighton, UK. Llahana, S. (2016). Llahana, S., Philips D., Webber J., Chapman S., Carroll P., McBride P., Horne R. (2016) Development and evaluation of the acceptability of new materials to address individualized needs to support self-management for patients with adrenal insufficiency. Poster presentation, British Society for Endocrinology Annual meeting, November 7 – 9, Brighton, UK. Llahana, S. (2016). Llahana, S. (2016) Support needs for patients with adrenal insufficiency. Invited Speaker, New Insight in Adrenal Insufficiency, 1st Expert European Summit by Shire International, January 22 – 23, Berlin, Germany. Llahana, S. (2015). Llahana, S. (2015) Bringing Endocrine Nurses together: the development and role of the European Society for Endocrinology (ESE) Nurses Network. Invited speaker, European Specialist Nurses Organizations (ESNO) Summit 2015, November 5 – 6, Brussels, Belgium. Llahana, S. (2015). Llahana, S., Mumuni, A., Osz, M., Baber, M., Baldeweg, S., Gannon, G. & Conway, G. (2015) A care service model for cost effective and structured individualised treatment choice for GH replacement therapy. Poster presentation, British Society for Endocrinology Annual meeting, November 2 - 4, Edinburgh, UK. Hood, G.A. and Llahana, S.V. (2008). A meeting report from the Federation of European Nurses in Diabetes (FEND): 13th Annual Conference, Htel Cavalieri Rome, Italy, 5-6 September 2008. Llahana, S. Llahana, S., Conway, G., Mumuni, A., Baldeweg, S., Osz, M., and Horne, R. (2018). Patients’ beliefs and concerns about growth hormone replacement therapy are associated with their satisfaction with treatment, medication side effects and quality of life. Accepted for Poster Presentation, abstract ID: 911. 18th International Congress of Endocrinology, December 1 – 4, Cape Town, South Africa. Llahana, S. Llahana, S. (2018) Transition of patients with hypogonadism from paediatric to adult care service. Invited Speaker, European Congress of Endocrinology, May 20-22, Barcelona, Spain. Miranda Galarraga, M. and Llahana, S. (2018). Quality of life for carers of people with type 2 diabetes: A literature review. Journal of Diabetes Nursing, 22(1). Llahana, S. and Thomas, N. (2016). Structured nursing educational programs improve quality of life outcomes in patients with Cushing’s syndrome. Endocrine, 53(1). doi:10.1007/s12020-016-0934-5 . Andela, C.D., Scharloo, M., Ramondt, S., Tiemensma, J., Husson, O., Llahana, S. … Biermasz, N.R. (2016). The development and validation of the Leiden Bother and Needs Questionnaire for patients with pituitary disease: the LBNQ-Pituitary. Pituitary, 19(3), pp. 293–302. doi:10.1007/s11102-016-0707-4 . Chapman, S.C.E., Llahana, S., Carroll, P. and Horne, R. (2016). Glucocorticoid therapy for adrenal insufficiency: nonadherence, concerns and dissatisfaction with information. Clinical Endocrinology, 84(5), pp. 664–671. doi:10.1111/cen.12991 . Phelan, N., Conway, S.H., Llahana, S. and Conway, G.S. (2012). Quantification of the adverse effect of ethinylestradiol containing oral contraceptive pills when used in conjunction with growth hormone replacement in routine practice. Clinical Endocrinology, 76(5), pp. 729–733. doi:10.1111/j.1365-2265.2011.04277.x . Llahana, S. and Hamric, A. (2011). Developmental phases and factors influencing role development in diabetes specialist nurses: A UK study. European Diabetes Nursing, 8(1), p. 18. doi:10.1002/edn.169 . Llahana, S., Kamps, L. and Vrijhoef, B. (2009). Study on European nurses in diabetes (SEND): Invitation to participate. Journal of Diabetes Nursing, 13(1), pp. 6–7. Llahana, S. (2004). Llahana, S.V., Coates, V.E. & Poulton, B.C. (2004). Exploring the relevance of the DSN role to the Greek healthcare setting. Journal of Diabetes Nursing, 8 (4): 145-151. .
Llahana, S. (2003). Llahana, S.V., Coates, V.E. & Poulton, B. C. (2003). Educational preparation of the DSN in the UK. Journal of Diabetes Nursing, 7 (1): 7 – 11. .
Llahana, S. (2003). Llahana, S.V. & Gerogianni, G.K. (2003). Exploring the role of the Diabetes Specialist Nurse: role components and activities. Nosileftiki, 42 (1): 82 – 96. [Greek]. .
Llahana, S. (2002). Llahana, S.V. & Gerogianni, G.K. (2002). The Clinical Nurse Specialist: role definition and operationalisation. Nosileftiki, 41 (1): 42 – 52. [Greek]. .
Llahana, S.V., Poulton, B.C. and Coates, V.E. (2001). The paediatric diabetes specialist nurse and diabetes education in childhood. Journal of Advanced Nursing, 33(3), pp. 296–306. doi:10.1046/j.1365-2648.2001.01665.x . Llahana, S. (2001). Llahana, S.V., Coates, V.E. & Poulton, B. C. (2001). Survey: role components, functions and activities of the DSN. Journal of Diabetes Nursing, 5 (6): 181 – 187. .
Llahana, S. (2001). Llahana, S.V., Poulton, B.C. & Coates, V.E. (2001). Role development of the diabetes specialist nurse: a pilot study. Journal of Diabetes Nursing, 5 (4): 114 – 118. .
Llahana, S. (2001). Llahana, S.V. (2001). The relationship between theory, research and practice in nursing: a literature review. Nosileftiki, 40 (1): 24 – 33. [Greek]. .